I wanted to play a fun, interactive, grindy, tempo deck that runs big, efficient creatures. That said, the deck is rather convoluted and requires a lot of practice to play it correctly. However, the deck makes up for it's difficulty in the fact that it has a lot of good matchups and no unwinnable matchups (IE no 80-20). All said, I have practiced with this deck a lot. Thus, I have about an 85% match win rate at FNMs. I've been playing this deck for years, trying almost everything and playing against almost everything. So, ask me anything! 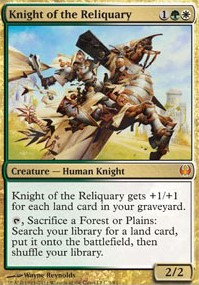 Albeit, they missed a Courser of Kruphix in the main.